We would like to very much thank Renee, Lenore & Trish for giving us the opportunity for Murphy to come to Australia. 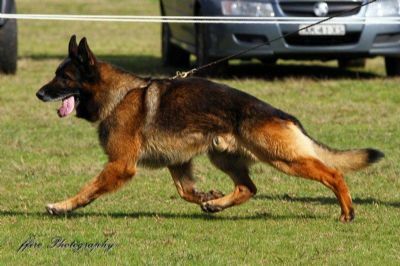 As difficult a decision as it was for all at Oakway to send Murphy over here, it's a great opportunity for all the breeders in Oz to be able to consider him in their breeding programs. 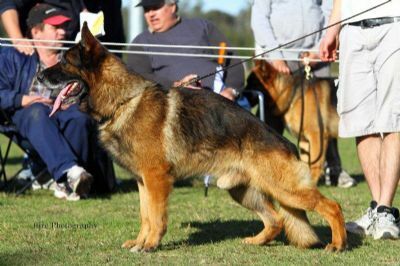 It would have been very difficult to part with an outstanding dog with such an outstanding show & breeding record as well being a valuable pet. 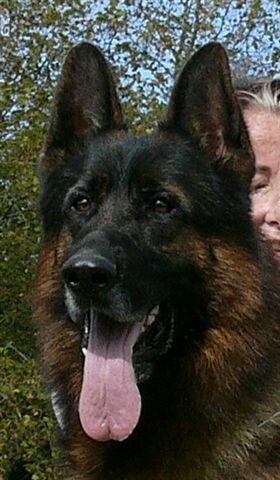 On the 24th April 2010 Murphy won most successful stud dog at Waikato with a daugter of his winning Best In Show. Murphy is a sensational dog with an outstanding temperament & after being here a week has fitted into our household extremely well. He loves being with everyone, going for walks & has already had the chance to see some kangaroos !!! Any stud enquiries are very welcome & can be sent by email to [email protected] or phone 02 48410229.